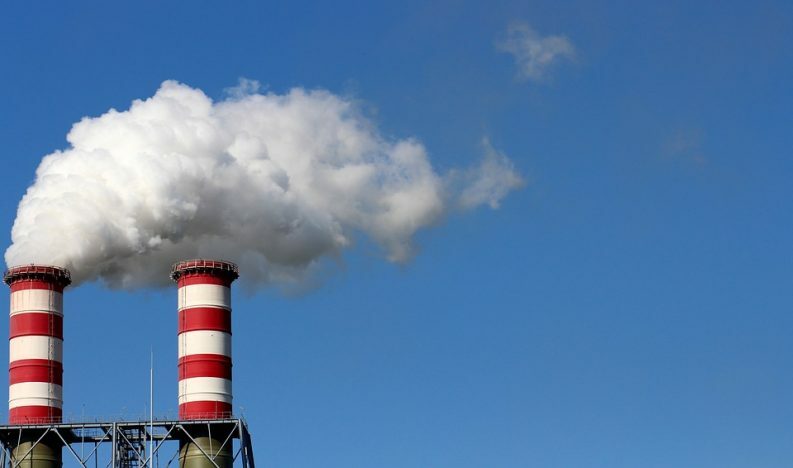 Ireland’s environmental watchdog is a European leader is making information about highly-polluting activities easily accessible on its website, a new NGO report has found. The new European Environmental Bureau (EEB) report found that the Environmental Protection Agency, together with authorities in Norway and Bulgaria, offer their citizens “excellent access to information”. Researchers from the EEB – Europe’s largest network of environmental organisations – examined information on permitting conditions for all major industrial plants, including coal-fired power stations, large waste incinerators, and intensive agricultural facilities. The report, however, also found a “huge divergence” in the quality and quantity of information across EU Member States, Norway and a number of regional authorities. 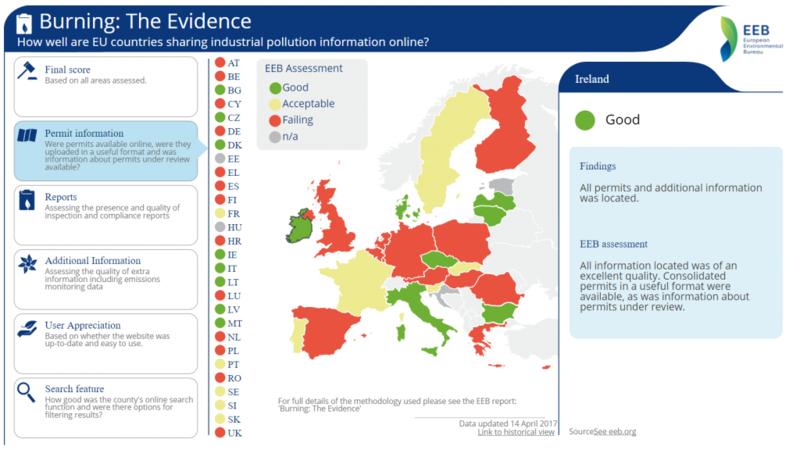 The report found that over half of the EU’s Member States are failing to share crucial information about highly-polluting activities online, with many are failing to meet even the minimum requirements for transparency under the Industrial Emissions Directive. The Directive requires authorities to publish operating permits online alongside a justification for the permit and certain other specific information. The report states that the overall findings “pose serious questions” about some countries’ commitment to environmental protection and access to environmental information requirements. The EPA’s website ranks the highest among all the sites examined as part of the study and should serve as a benchmark for other EU states, according to the report. The EPA website provides information on the industrial licensing decision-making process, environmental impact assessments, industrial emissions data and, most recently, on compliance performance at industrial facilities. Earlier this year, the EPA launched the National Priority Site (NPS) list which outlines the worst industrial offenders for breaching environmental regulations. The list is updated quarterly with companies ranked based on six months’ of data on complaints, incidents, compliance investigations, and non-compliances (NCs) with licenses. EEB researchers found the EPA’s website “easy to use” and the search function to be a “useful and powerful tool” for users to quickly and accurately find information. The researchers also commended the ability to subscribe to RSS feeds linked to permit numbers on the EPA website. “This is a true example of proactive action to ensure that citizens have ample time to intervene to defend their environmental rights,” the report states. In a statement, the EPA said that it was pleased to be recognised in the report and that “being a trusted regulator is a core value” of the agency.”We aim to be a role model for others by providing high quality, timely environmental data. “Much of the work we do on public information is aimed at engaging the public in protecting and improving our environment,” the statement continues. Although applauding the EPA’s general policy of providing licensing applications online, Attracta Uí Bhroin, Facilitator of the Environmental Law Implementation Group, said that there is “room for improvement too”. She said that, in some instances, documentation provided to the regulator in hard copy is not scanned and made available on the website even if they are “important documents for the application”. “These documents have been produced by the applicant and they have them in electronic form and should be required to always provide an electronic copy for the EPA website,” she added. 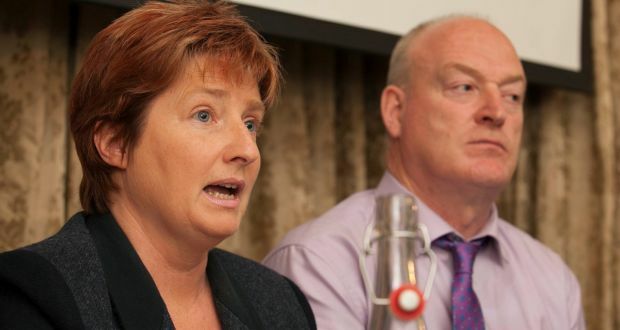 Ms Uí Bhroin also pointed to the high cost of fees in some instances to make submissions in relation to applications, which, she stressed, is a “real barrier to effective public participation”. “The EPA may be ahead of the posse in some respects but it has more to do before it gets a green star for its compliance with obligations under the Aarhus Convention for certain environmental decisions,” she added. The Convention is an international agreement to establish a number of rights of the public with regard to the environment, including guaranteed public access to environmental information, decision-making, and justice. The launch of the EEB report comes just weeks after environmental groups slammed the EU for refusing to accept a UN ruling that it is failing to comply with the requirements of the Convention. At last month’s Meeting of the Parties to the Convention (MoP) in Budva, Montenegro, the Aarhus Convention Compliance Committee found that the EU is non-compliant due to a failure to provide adequate access to justice at the EU level. The EU proposed that the MoP should end the longstanding practice whereby findings of non-compliance by the Committee are endorsed by the MoP, instead proposing that the MoP should only ‘take note’ of this finding. Every single finding of non-compliance since the establishment of the compliance mechanism in 2002 has been endorsed by the MoP with the full support of the EU.